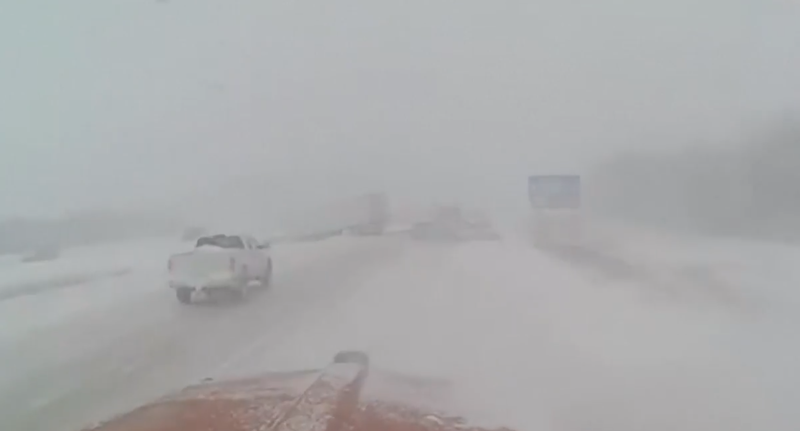 The polar vortex has created nightmarish conditions for drivers in Minnesota, USA. While we're going through heatwaves, citizens in Michigan have been warned to minimise talking outside to avoid freezing. A historic polar vortex has struck the Midwest, bringing dramatically low temperatures, winds and snow, creating extremely dangerous driving conditions. Video footage captured from various places shows just how terrible things are in some of the states. Apparently, over 100 accidents have been recorded since the polar vortex hit and from the looks of it, there will be more accidents. According to weather service reports in Des Moines, Iowa, this is the coldest air many people will ever experience. The service also said that if people go outside, they should "avoid taking deep breaths, and minimize talking." Watch the video below and be grateful for your 30 degrees days.